The commercial wing of Lahore Development Authority (LDA) has sealed 26 commercial properties located along Main Boulevard of the PIA Society. 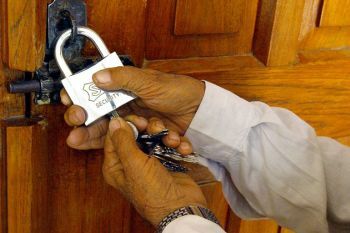 The properties were sealed after their owners did not pay the requisite fee. The sealed commercial properties included bearing numbers 1, 2, 5, 9 and 302 of Block A-1, 11, 51 and 52 of block B-1, 201, 243, 270, 282 and 283 of Block-C, 20, 27, 29, 31 and 45 of Block-D, 22, 408, 409, 418 and 424 of Block-E and 2, 3 and 6 of Block-F.